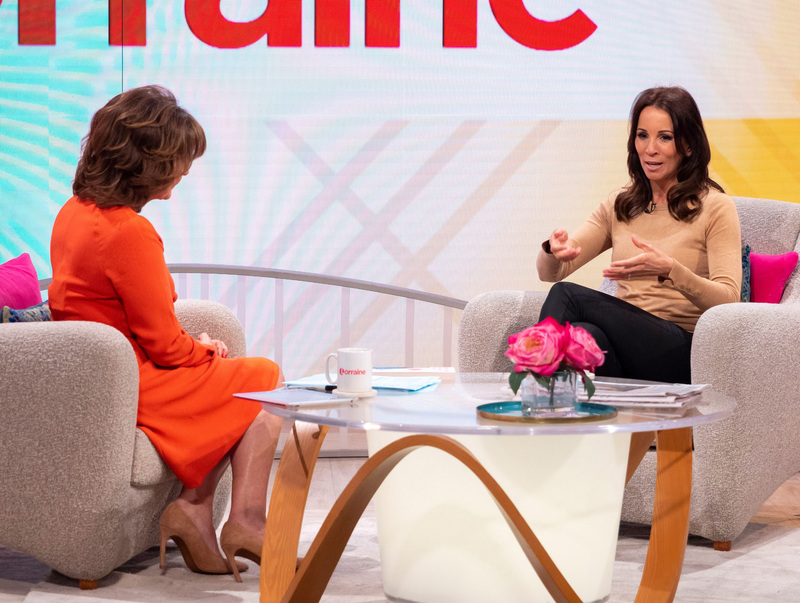 Appearing on Lorraine yesterday, Andrea McLean discussed the impact that her book, Confessions of a Menopausal Woman, has had on the nation. The Loose Women star admitted that actually, the book, which is to be released in paperback this Thursday, only came about as a result of a reluctant discussion. Andrea confessed to Lorraine, “‘That was the thing that started the book, the fact that I mentioned it on air, really reluctantly. Because I went to have a hysterectomy and I thought, I’m not going to mention it, because it means going head long into menopause. However, it seems her fans really resonated with her honest admission, as she explained, “But within 24 hours, 10,000 women got in touch wanting to know more information, and that’s what led to the book. Andrea went on to reveal that the idea for the tour – which kicks off in May – came about because of the unexpected impact the book had on the women and couples up and down the UK. She revealed, “I get people coming up to me in the street. I get a lot of hugs. And people are telling me, because of your book, I had the confidence to go to the doctor and get the help I needed. Opening up a discussion about the menopause can only ever be a good thing – we applaud you Andrea!